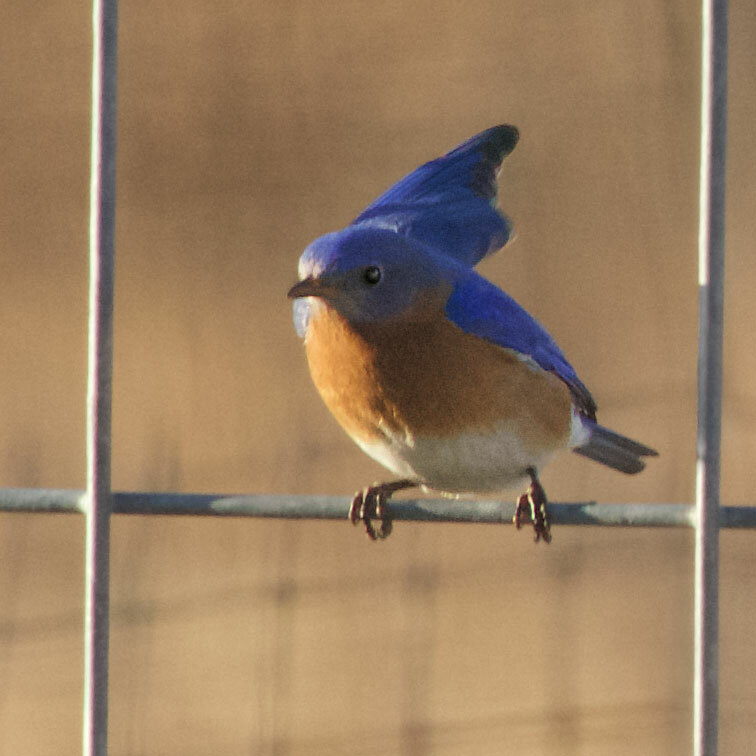 Eastern Bluebirds have a sweet mating ritual. The male perches near the nest cavity where he's hoping to persuade a female to breed with him, and he waves a wing. Just stands there in view of the female and lifts one wing for a fraction of a second. Hi, Cutie, or some such idea. This morning I was spying from a distance. Didn't want to get too close while they deliberate about the nest box in the garden. Wouldn't want to scare them off. I'm looking forward to earning the trust of the bluebirds again this summer. If one member of this pair is from last year, it should go pretty fast. 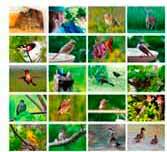 Bluebirds and many other birds love mealworms. You can order 1000 or 2000 mealworms and keep them in your refrigerator as you dole them out to the birds. 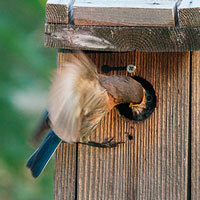 Your bluebirds will eagerly accept these gifts to feed to their young. Other species will also appreciate the mealworms. 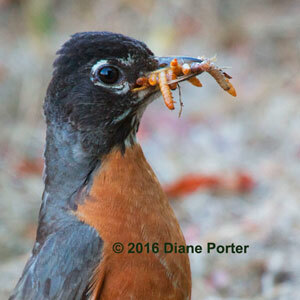 Robins, phoebes, titmice, wrens, and catbirds have accepted mealworms from us at Birdwatching Dot Com.